Andhra Pradesh High Court became the 25th High Court of India. The High Court at the newly formed capital Amaravati came into existence from 1 January 2019. On the other hand the bifurcated High Court of Telangana also came into existence as a separate entity on the same date. Justice T B.N. Radhakrishnan was sworn in as the Chief Justice of the Telangana High Court. Telangana and Andhra Pradesh Governor E.S.L. Narasimhan administered oath of office to him. The Governor administered oath to Justice C. Praveen Kumar as the new acting chief justice of the Andhra Pradesh high court on the same day. With this the erstwhile Hyderabad High Court ceased to exist. It is worth mentioning that the advocates and legal fraternity have been demanding separate high court for Telangana ever since the separate state was carved out in 2014. However, the things moved fast after Andhra Pradesh Chief Minister Chandra Babu Naidu gave in writing that the High Court in his state Capital, Amaravati will be readied by 31 December 2018. The Supreme Court had directed the Centre to bifurcate the existing high court in Hyderabad. Jair Bolsonaro took over as the new President of Brazil on 1 January 2019 replacing Michel Temer in front of Congress in capital Brasilia. He took over from deeply unpopular centre-right president Michel Temer, who was effectively a caretaker figure following the impeachment of leftist leader Dilma Rousseff, booted from office in 2016 for fiddling the government books. The 63-year old Bolsonaro is a former para-trooper and congressman for the past 27 years. He is the 38 President of Brazil and will have 4-year term. Rajesh Subramaniam, Indian-American took over as the President and CEO of multinational courier behemoth FedEx Express (FedEx). He was till now the Executive Vice President, chief marketing and communications officer of the company. Subramaniam, an IIT-Bombay graduate from Thiruvananthapuram. He has been with FedEx for more than 27 years. He has held various executive-level positions in the company. He replaced David L Cunningham. The Reserve Bank of India (RBI) released its financial stability report and it has received much publicity for its conclusion that NPAs of the banks have finally started declining. The asset quality of banks showed improvement with gross non-performing assets' (GNPAs) ratio declining to 10.8 % in September 2018 from 11.5 % in March 2018. The net NPAs ratio also witnessed a fall at 5.3 % in September 2018 as against 6.2 % in March 2018. GNPAs of state-run lenders improved to 14.8 % in September 2018 from 15.2 % in March 2018. Private sector banks saw gross NPAs falling to 3.8 % in September 2018 from 4 % in March 2018. The financial markets are becoming a huge risk. With large lending by mutual funds who lend on the basis of credit rating, it becomes important to have a deep bond market and sound valuation both of which may be lacking as the IL&FS problem showed. The second risk is a large amount of NPAs generated in the MSME sector, especially by PSU banks. The report points out that MSME NPAs in the public sector banks, especially the PCA banks is more than four times that of private sector banks. These are two of many other risks brought out by the financial stability report. The total assets under management (AUM) of mutual funds is about Rs 24 trillion of which between Rs 13 and 14 trillion is hedge in corporate debt. Amitabh Chaudhry took as the new Managing Director and CEO of Axis Bank from 1 January 2019. Presently, Axis Bank, the third largest private sector bank of the country. He is a former MD and CEO of HDFC Standard Life Insurance Company, was in September 2018 named the MD and CEO of Axis Bank for a period of three years. Chaudhry replaced Shikha Sharma who retired from the post earlier on 31 December 2018. Shikha Sharma was at Axis Bank’s helm since 2009 and she had completed three full terms of three years in May 2018. Axis Bank’s revenue during 2018 was over Rs. 58,000 crore while bank’s assets stood at Rs. 6.91 trillion. The Union government on January 2 approved the merger of Dena Bank and Vijaya Bank with Bank of Baroda (BoB). With the merger, BoB will become the country’s third-largest bank after State Bank of India and ICICI Bank. The Bank of Baroda headquarters in Mumbai. There will be no impact on the service conditions of the employees and there will be no retrenchment following the merger. The merger had been designed to make BoB as merged entity, a globally competitive lender. It is noted that presently, Bank of Baroda is already the third largest PSUs bank in India after SBI and PNB. Cricket coach Ramakant Achrekar recently passed away in Mumbai at the age 87 years. He was the legendary coach known to have shaped the career of master-blaster Sachin Tendulkar. Besides Tendulkar, he also coached some prominent players in Vinod Kambli, Pravin Amre, Sameer Dighe, Ramesh Powar, Chandrakant Pandit, Ajit Agarkar and Balwinder Singh Sandhu. Achrekar was bestowed with country's fourth highest civilian award - Padma Shri in 2010 and Dronacharya Award (for Outstanding Coaches in Sports and Games) in 1990. Justice A.K. Sikri was nominated as the new Executive Chairman of National Legal Services Authority (NALSA) as was announced on 1 January 2019. President Ram Nath Kovind nominated Justice Sikri as Executive Chairman of NALSA with effect from 31 December 2018. This announcement was made on 1 January 2019. The NALSA was constituted under the Legal Services Authorities Act, 1987 to provide free legal services to the weaker sections of the society and to organise Lok Adalats for amicable settlement of disputes. The Reserve Bank of India (RBI) has launched the ‘Survey on Retail Payment Habits of Individuals (SRPHi)’ that is expected to provide some idea about awareness and usage habits of digital payment products. Sigma Research & Consulting Pvt. Ltd. agency has been engaged to conduct the fieldwork of the survey from 6 cities. The survey will cover a sample of 6,000 individuals from various socio-economic backgrounds across six cities - Delhi, Mumbai, Kolkata, Chennai, Bengaluru and Guwahati. This was announced by the RBI on 2 January 2019. The Reserve Bank of India (RBI) set up a committee to address issues regarding the sustainability of MSMEs. Former SEBI Chairman UK Sinha is heading the 8-member committee constituted by the RBI on 2 January 2019. The main aim is to suggest long-term solutions for the economic and financial sustainability of the Micro, Small and Medium Enterprises (MSMEs). The committee will also examine factors affecting the availability of finance to MSMEs. The announcement of this committee came just one day after RBI allowed one-time restructuring of MSME loans of up to Rs. 25 crore on 1 January 2019. The U.K. Sinha-led MSME panel has also been asked to propose measures for leveraging technology in accelerating growth of the sector and suggest long-term solutions for the economic and financial sustainability of the MSME sector. The state government of Uttar Pradeshon has introduced a 0.5% “Gau Raksha” cess in the state to protect stray cows. Chief Minister Yogi Adityanath introduced this scheme on 2 January 2019. This move comes as the state now has a stray cattle problem following the aggressive crackdown on illegal cow slaughterhouses. This additional cess that will amount to an increase of 0.5% will be levied on excise items such as alcohol, and toll tax. Chinese spacecraft Chang'e 4 became the first ever spacecraft to land on the far side of the moon. Chang'e 4 is the name of the Chinese lunar exploration mission that achieved the first soft-landing on the far side of the Moon, on 3 January 2019. It was launched by the China National Space Administration (CNSA) and this robotic probe landed in the unexplored South Pole-Aitken basin, the largest, oldest, deepest, crater on the moon’s surface. It was launched from the Earth on 7 December 2018 and it entered Moon’s orbit on 12 December 2018. 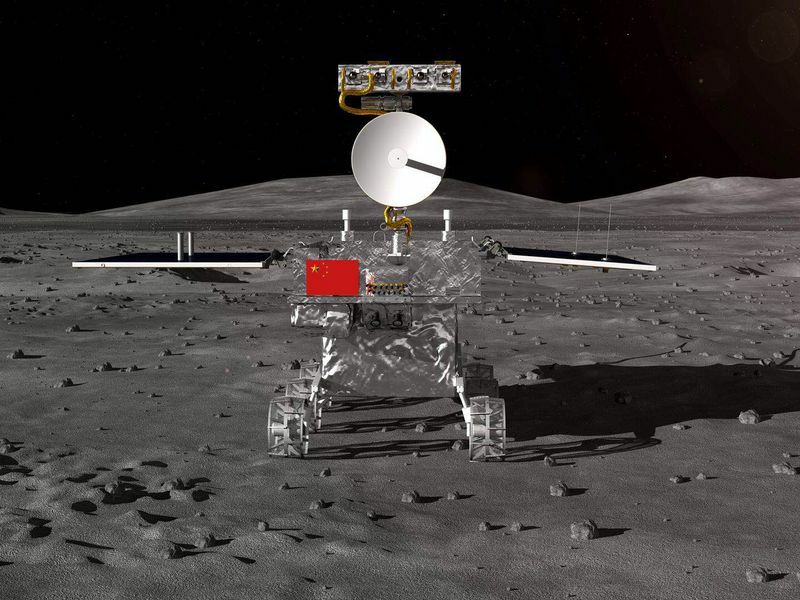 Like its predecessors, the spacecraft is named after Chang'e, the Chinese Moon goddess. The 106th edition of the Indian Science Congress (ISC) was inaugurated by Prime Minister Narendra Modi. This annual congregation of the top scientific minds of the country is being hosted by Lovely Professional University (Phagwara) institution. The 5-day event was inaugurated by Prime Minister Narendra Modi on 3 January 2019. The theme of this year’s ISC is - FUTURE INDIA – Science and Technology. The Congress will conclude on 7 January 2019. ISC is an annual event hosted by the Indian Science Congress Association (ISCA), a premier scientific organisation of India with headquarters at Kolkata, West Bengal. The association started in the year 1914 in Kolkata and it meets annually in the first week of January. U.S. President Donald J. Trump signed into law the Asia Reassurance Initiative Act (ARIA) passed the U.S. Senate earlier that month on the final day of 2018. The act authorizes $1.5 billion in new spending for U.S. initiatives in East and Southeast Asia and develop a long-term strategic vision and a comprehensive, multifaceted, and principled United States policy for the Indo-Pacific region, and for other purposes. The ARIA includes multiple provisions and largely supports the Trump administration’s own National Security Strategy and National Defense Strategy documents, both of which have identified the Indo-Pacific as a strategic region of particular priority. ARIA draws attention to U.S. relations with China, India, the ten member states of the Association of Southeast Asian Nations (ASEAN), and Northeast Asian allies Japan and South Korea. Additionally, the act addresses U.S. policy toward North Korea. Specifically, ARIA calls on the U.S. Secretary of State, in conjunction with the Secretary of the Treasury, to justify the termination of U.S. support for any United Nations Security Council resolutions sanctioning North Korea or the lifting of any unilateral U.S. sanctions on North Korea. The ARIA devotes considerable energy to reasserting U.S. support for Taiwan and calls on the president of the United States to “encourage the travel of high level United States officials to Taiwan, in accordance with the Taiwan Travel Act,” which was made law in 2018. Elsewhere, ARIA devotes attention to the maritime commons in the Asia and the South China Sea, where it calls on the United States to support the ASEAN nations as they adopt a code of conduct in the South China Sea with China. The law calls for the president to “develop a diplomatic strategy. It includes working with United States allies and partners to conduct joint maritime training and freedom of navigation operations in the Indo-Pacific region, including the East China Sea and the South China Sea, in support of a rules-based international system benefiting all countries. Retired justice Chandrashekhar Shankar Dharmadhikari passed away on 3 January 2019 at the age of 91. He was renowned for Verdict on Human Rights during Emergency landmark verdict. In his landmark ruling during the Emergency, Justice Dharmadhikari had held that apart from constitutional rights, the Right to Life is natural and a human right, and therefore, even during the Emergency, a citizen could approach the high court. Accordingly, he entertained petitions and ordered the release of those against whom there was no evidence material. Dharmadhikari passed away at a private hospital in Mumbai on 3 January 2019. He was also an eminent Gandhian, freedom-fighter, legal luminary and social activist. He was appointed a judge in Bombay High Court in July 1972. He served as Acting Chief Justice here and retired in November 1989. 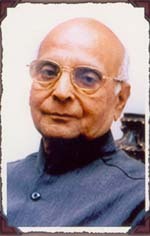 Justice Dharmadhikari was a recipient of many awards, including Padma Shri and Padma Bhushan. The Indian food regulator FSSAI notified new packaging regulations which primarily prohibit use of newspaper or recycled plastics for packing. These regulations will come into effect from which date 1 July 2019. The FSSAI on 3 January 2019 notified new packaging regulations which prohibit use of newspaper or recycled plastics for packing, wrapping, storing, transporting or dispensing articles of food products. The new regulation defines standards for different materials used for packaging of food products. It has also prescribed overall migration and specific migration limits of contaminants for plastic packaging materials. What is Food FSSAI ? Safety and Standards Authority of India is an autonomous body established under the Ministry of Health & Family Welfare, Government of India. HDFC Mutual Fund entity overtook ICICI Prudential MF to become the country’s largest asset management company (AMC). HDFC Mutual Fund has pipped ICICI Prudential MF to become the country’s largest asset management company after a gap of over two years. This was disclosed in the latest data available with Association of Mutual funds in India (AMFI). HDFC MF was the largest asset manager since October 2011 and it held the top position till March 2016, when ICICI prudential MF had overtaken the top spot. Herb Kelleher, the co-founder of iconic low-cost carrier Southwest Airlines died on 3 January 2019 at the age of 87. Kelleher set up Southwest with Rollin King, with the airline making its first flight in June 1971. Southwest succeeded by a strategy of offering low fares to its passengers, eliminating unnecessary services, and avoiding the typical scheduling system. The National Green Tribunal has imposed a fine of whopping Rs. 100 crore on Meghalaya state government for its failure to curb illegal coal mining in the state. The fine was imposed as a “deterrent” and for its “inaction” to curb illegal mining in the northeastern state. It is worth mentioning that at least 15 miners are trapped in the 370 foot-deep illegal coal mine in Lumthari village of East Jaintia Hills district of Meghalaya since 13 December 2018 and all efforts to pump the water out of flooded mine have been in vain. 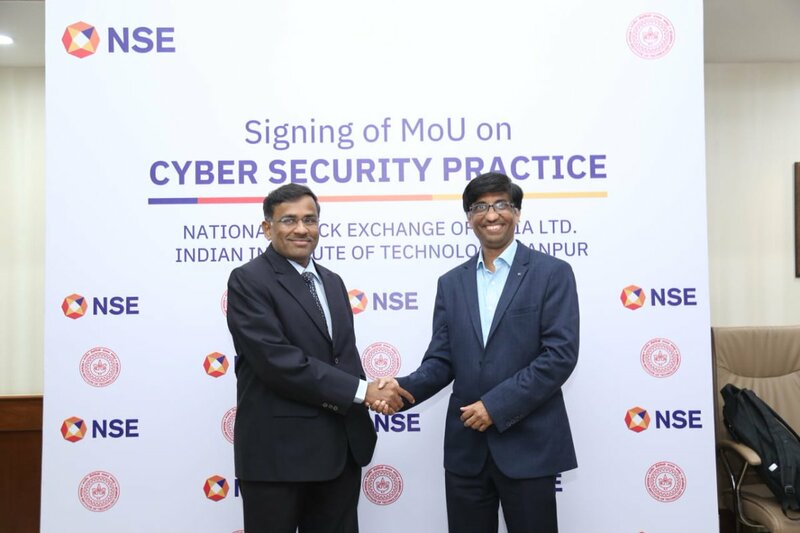 The National Stock Exchange of India Ltd. (NSE) signed a Memorandum of Understanding (MoU) with IIT Kanpur IIT to work together on cyber security solutions and practices. The National Stock Exchange of India Ltd. (NSE) is India’s leading Stock exchange. IIT Kanpur is one of the premier technology institute’s in the country. Through this engagement, IIT Kanpur faculty would help NSE in the areas of Cyber Security. IIT Kanpur had earlier also provided cyber security monitoring facilities to the BSE, which had proved quite efficient and beneficial. Vijay Mallya became the first-ever person in India to be declared as a fugitive economic offender. It was declared by a special court in Mumbai on 5 January 2019. The absconding accused liquor baron Vijay Mallya as a fugitive economic offender under the new Fugitive Economic Offenders Act. He is the first person to be declared so and the government can now confiscate his properties. On 22 June 2018, the Enforcement Directorate (ED) had filed an application at the PMLA (Prevention of Money Laundering Act) court to declare Mallya a fugitive economic offender and sought orders to confiscate all his properties estimated to be around Rs. 12,500 crore. 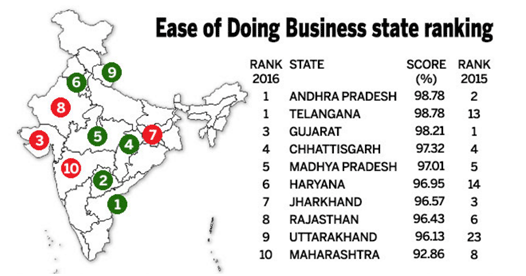 According to the latest ranking of Asia Competitiveness Institute's (ACI) EDB index, Andhra Pradesh bagged the top rank in 2018. The list is compiled by a team of researchers led by Tan Khee Giap, who is the co-director of Asia competitiveness institute (ACI), and associate professor at Lee Kuan Yew School of Public Policy, National University of Singapore. Andhra is followed by Maharashtra and Delhi. The chief minister also announced that his government was planning to distribute smart-phones to each family for ease of living. Nearly 14 million smart-phones should be manufactured for distribution in the state. The Singapore institute also suggested areas where improvement was needed in the state. The report mentioned that despite Andhra Pradesh's excellent performance in ACI's EDB Index, the government needs to bridge numerous institutional and infrastructural gaps in order to sustain its position in the future. The ACI team highlighted that there was sufficient room for improvement in sub environments such as facilitating business operations, infrastructure resilience and market potential. Worker density, foreign direct investment per capital, labour productivity, and illiteracy rate were identified as the weakest indicators for the state among others. The ACI team also emphasised that an analysis at the indicator level will help identify specific areas of improvement and will play a crucial role in making Andhra Pradesh the best investment destination by 2050. Asia Competitiveness Institute at Lee Kuan Yew School of Public Policy, National University of Singapore was established as a research centre in 2006 with an aim to build intellectual leadership and network for understanding and developing competitiveness in the Asia region. The United Nations observed the first official World Braille Day on January 4. The main aim is to raise awareness on the importance of Braille for approximately 1.3 billion people living with some form of distance or near vision impairment. 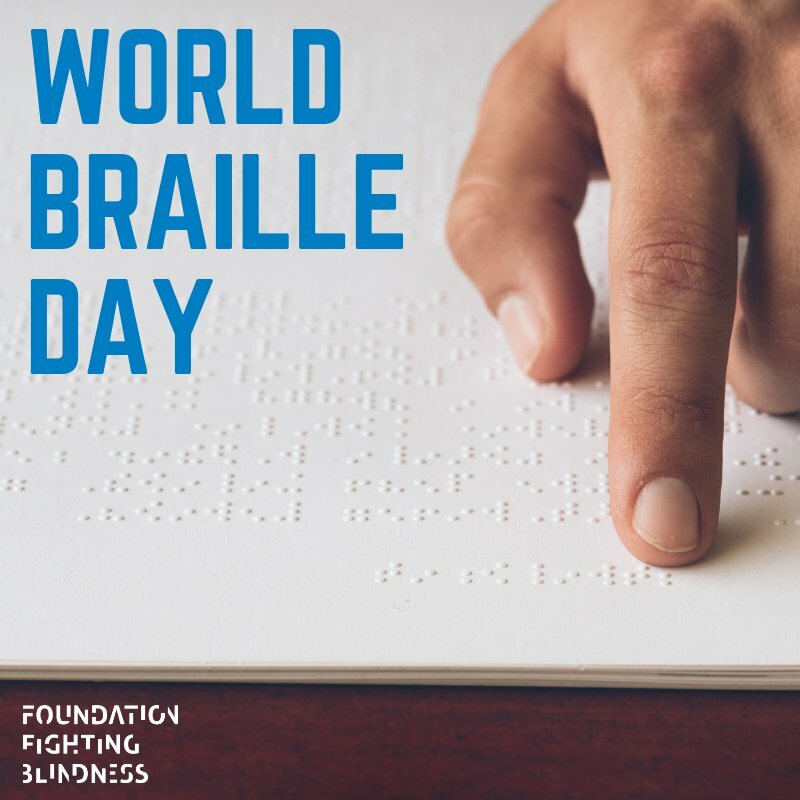 The Day was proclaimed by the General Assembly last November, as a means of realising fully the human rights of visually-impaired and partially-sighted people, and bringing written language to the forefront as a critical prerequisite for promoting fundamental freedoms. The World Health Organisation (WHO) reports that people who are visually impaired are more likely than those with full sight, to experience higher rates of poverty and disadvantages which can amount to a lifetime of inequality. Around the world, 39 million people are blind, and another 253 million have some sort of vision impairment. For them, Braille provides a tactical representation of alphabetic and numerical symbols so blind and partially-sighted people are able to read the same books and periodicals printed as are available in standard text form. To foster more accessible and disability-inclusive societies, the UN launched its first-ever flagship report on disability and development last year, coinciding with the International Day for Persons with Disabilities. India's foreign exchange reserves increased by USD 116.4 million to USD 393.404 billion in the week to December 28, on account of rise in foreign currency assets. The country’s foreign exchange reserves increased by USD 116.4 million to USD 393.404 billion in the week to December 28, 2018. In the previous week, the reserves had increased by USD 167.2 million to USD 393.287 billion. In the reporting week, foreign currency assets, a major component of the overall reserves, rose by USD 106.3 million to USD 368.077 billion. Gold reserves remained unchanged at USD 21.224 billion in the reporting week, the data showed. The special drawing rights with the International Monetary Fund (IMF) increased by USD 3.6 million to USD 1.462 billion. The country’s reserve position with the IMF also surged by USD 6.5 million to USD 2.640 billion. India outclassed Thailand in the ongoing Asian Cup football tournament at Abu Dhabi to record its first win in 55 years. India outplayed Thailand by 4-1 to record its first victory in the Asian Cup football tournament since 1964 on 6 January 2019 at the Al Nahyan Stadium in Abu Dhabi. Indian football’s goal machine and captain Sunil Chhetri struck a brace to help the country score this pulsating win. Playing in his second Asian Cup and 105th match, Chhetri scored in the 27th (penalty) and 46th minutes for his 66th and 67th international goals. With his two strikes, the 34-year-old Chhetri went past Argentine superstar Lionel Messi, who has so far scored 65 goals from 128 matches. Midfielder Anirudha Thapa and second half substitute Jeje Lalpekhlua then struck in the 68th and 80th minutes to completely outclass Thailand. On 6 January 2019, Malaysia’s King Sultan Muhammad V announced his decision to abdicate from the post of country’s monarch. He was the 15 monarch of Malaysia. The announcement follows a leave of absence by the head of state and rumours he had married a former Russian beauty queen. India scripted history winning the first ever Test series on Australian soil beating the home team 2-1 after the fourth and final Test ended in a tame draw in Sydney due to inclement weather on 7 January 2019. Cheteshwar Pujara (India), who scored three centuries and amassed 521 runs in the series, was declared the man of the series of the India-Australia Test series that concluded on 7 January 2019. The fourth and final test ended in a draw at the Sydney Cricket Ground (SCG). India thus won the series 2-1 and created history by winning a Test series on the Australian soil for the first time. India won the Test matches at Adelaide Oval and Melbourne while Australia’s lone win came at Perth. The California-based think tank which Brown served as a trustee for more than 35 years. Brown was a nuclear physicist who led the Pentagon to modernize its defense systems with weapons that included precision-guided cruise missiles, stealth aircraft, advanced satellite surveillance and improved communications and intelligence systems. He successfully campaigned to increase the Pentagon budget during his term, despite skepticism inside the White House and from Democrats in Congress. Amazon.com Inc. surpassed Microsoft Corp. to become the world’s largest public company, in the latest list of Wall Street’s biggest names being reordered. Shares of the e-commerce company rose 3.4 %t, a rally that gave it a market capitalization of $797 billion. While this is down from Amazon’s record market cap, which topped $1 trillion in September, it was enough to push it past Microsoft at $789 billion. Shares of Microsoft, which claimed the title of the world’s most valuable stock in November, rose 0.1 %. Both companies are now notably larger than Apple Inc., which had held the position for years. The iPhone maker now has a market cap of about $702 billion, down from a record $1.1 trillion in early October. The company has been pressured by weaker-than-expected iPhone demand in China. Last week, it cut its sales outlook, sending the stock to its lowest level since April 2017. She is currently 11th chief economist of the IMF. She is phenomenal, not just in her leadership of the IMF but as a role model for women around the world. She is also a co-director of the International Finance and Macroeconomics program at the National Bureau of Economic Research and has worked as the Economic Adviser to the Chief Minister of Kerala. Gopinath was appointed as chief economist of the International Monetary Fund in October 2018. Her research focuses on International Finance and Macroeconomics.Gopinath was born in Kolkata, India. Later she did her schooling in Nirmala Convent School in Mysore. She is the younger of two daughters of TV Gopinath and VC Vijayalakshmi, both of whom hail from Kannur, Kerala. She holds a B.A. from Lady Shri Ram College for Women, University of Delhi (1992), Masters in economics from Delhi School of Economics, University of Delhi (1994). She completed her M.A. at the University of Washington (1996). According to Central Statistical Organisation, India’s GDP is expected to grow at 7.2 % in F.Y-2019 as against 6.7 % on-year. The F.Y-2019 farm sector growth is expected to be at 3.8 % when compared with 3.4 % in the last fiscal. The growth in GDP during 2018-19 is estimated at 7.2 % as compared to the growth rate of 6.7 % in 2017-18. Real GVA (Gross Value Added) is anticipated to grow at 7 % in the current fiscal as against 6.5 % in 2017-18. Growth in the first and the second quarter of the current financial year have been estimated at 8.2 and 7.1 %, respectively. The F.Y-2019 nominal GDP growth of the economy is expected to be at 12.3 % versus 10 % year-on-year. The manufacturing sector is expected to accelerate to 8.3 % in F.Y-2019, up from 5.7 % year-on-year. The F.Y-2019 farm sector growth is seen to be at 3.8 % when compared with 3.4 % in the last fiscal. Services sector growth at 7.3 % versus 7.9 %. According to the WEF report, India is expected to emerge as the third largest consumer market, just behind the US and China. The report titled as 'Future of Consumption in Fast-Growth Consumer Market - India'. The growth in the middle class will lift approximately 25 million households out of poverty. Rising income will transform India to a middle class-led one from a “bottom of the pyramid economy”, with consumer spending in the country to grow from the current $1.5 trillion to $6 trillion by 2030. At present, India is the sixth largest economy in the world with an annual GDP growth rate of 7.5% and domestic private consumption accounts for about 60% of the GDP. Bottom of the pyramid- also called the base of the pyramid - is a phrase in economics that refers to the poorest two-thirds of the economic human pyramid. Upper-middle-income households will drive 47% ($2.8 trillion) of total consumption, and high-income households will drive another 14% ($0.8 trillion), compared to 30% and 7% respectively. The future consumption growth is expected to come mainly from rich and densely populated cities and the thousands of developed rural towns across the country. Of the total, about $1.5 trillion will come from top 40 cities, and many thousands of small urban towns will also drive an equally large spend in aggregate. India is at a tipping point, both in terms of economic growth and in the human development of its billion-plus citizens. WEF produced the report in partnership with Bain & Co. The in-depth survey was conducted across 5,100 households in 30 cities and towns in the country, drawing from over 40 interviews with public and private sector leaders. Sikkim ,recently declared to include the Universal Basic Income scheme in its manifesto ahead of the Assembly election in 2019. Sikkim plans to implement the Universal Basic Income scheme by 2022. "UBI is a scheme that a number of economists have talked about and it works well in developing countries. It has been tested even in India, debated within the Finance Ministry as early as 2017. In 2011-2013, Madhya Pradesh, India started Madhya Pradesh Unconditional Cash Transfers Project where Rs.300 were provided to every single adult and Rs. 150 to children. It is considered a successful experiment as the living conditions improved drastically. Pranav Mehta has been conferred with the 'Visionary Disruptor Award' by Solar Future. He will be receiving on 15th January, 2019 at the sidelines of World Future Energy Summit in Abu Dhabi. Shri Pranav R Mehta has taken over as the president of Global Solar Council (GSC) from January 1, 2019. Pranav Mehta has been keeping the Indian flag flying high in the solar arena. He is a visionary in the field of Solar Energy and the chairman of National Solar Energy Federation. The GSC has its headquarters in Washington D.C., USA. The Global Solar Council (GSC) was launched on December 6, 2015, following the historic United Nations Climate Change Conference (UN COP 21). The GSC came into being as International Coalition of more than 30 nations, utilising maximum solar energy, decided to harness the renewable energy for the greater good. Mr Mehta has been invited by over 15 countries in the last two years to share his vision and experience in India's impressive solar growth. The visionary started his solar journey way back in 2006 when India was at Zero Megawatts solar capacity and is credited with having played a catalytic and pivotal role in opinion building, emphasis and awareness about the importance of solar energy, integrating the efforts of all solar energy stakeholders including government and private sector as well as the intellectual inputs. India is placed amongst the Top 5 solar players in the world and is third largest solar market. World Hindi Day is observed every year on January 10 to promote the greatness of the Hindi language. Hindi is India’s official language and is spoken by more than 250 million people across the World. On World Hindi Day, the Ministry of External Affairs conducts events through its missions worldwide to spread the greatness of the Hindi language. The Department of Official Language – Rajbhasha also organises several special programmes to mark the day. The first World Hindi Conference was held on January 10 in 1975. To commemorate this special day, World Hindi Day is celebrated on the same date every year. The first World Hindi Conference was inaugurated by Prime Minister Indira Gandhi in Nagpur. The first conference was attended by 122 delegates from 30 countries where then Mauritius Prime Minister Seewoosagur Ramgoolam was the chief guest. Apart from India, countries like United Kingdom, United States, Mauritius, Trinidad and Tobago, have hosted the World Hindi Conference. Also, Persons of Indian Origin and non-residential Indians in many countries organise events to commemorate the day to spread the greatness of the language. World Hindi Day 2019: How is it different from Hindi Diwas? National Hindi Divas and World Hindi day are entirely different. National Hindi Diwas was first celebrated on September 14 in 1949 when the Constitution of India declared Hindi written in Devanagari Script as an official language. The day is observed within the country only. On the other hand, the World Hindi Day is observed to promote the greatness of Hindi language at the global level. Hindi as a language is the fourth most spoken in the world. Hindi is adopted as an official language of Pacific Island country Fiji. Adjectives and Nouns in Hindi grammar change according to gender. Hindi is a descendant of Sanskrit. According to the Constitution, Hindi was declared as an official language but not the national language. Under Article 343, the official language of the Union has been prescribed, which includes English and Hindi in Devanagari script. The first India-Central Asia Dialogue will be held in Samarkand, Uzbekistan on January 12 and 13. It will be co-chaired by External Affairs Minister (EAM) Sushma Swaraj and the Foreign Minister of Uzbekistan, Abdulaziz Kamilov. India and the Central Asian states look forward to the Dialogue as an important initiative to enhance their cooperation in wide-ranging spheres including exploring ways to substantially enhance India's economic involvement in business and development sector of Central Asia. The event is expected to strengthen India's engagement with all the Central Asian nations, taking it to a "new level". This comes after Prime Minister Narendra Modi's visit to all the five Central Asian nations - Kazakhstan, Kyrgyzstan, Tajikistan, Turkmenistan, and Uzbekistan - in 2015 and the EAM's tour across the region in August 2018. IIT Madras scientists have created 'space fuel' by simulating interstellar conditions in the lab. The applied a method that may be used to convert atmospheric CO2 into a next-generation energy source on Earth. The research, published in the journal Proceedings of the National Academy of Sciences (PNAS), could help curb greenhouse gases as well as provide a new, sustainable source of energy. They are formed at high pressures and low temperatures at places such as the ocean floor, hundreds of metres below the sea level. They are also found in glaciers such as in Siberia. Such hydrates especially that of methane, are thought to be the future sources of fuel. Many nations across the world including India have programmes to explore hydrates in the ocean bed. IIT Madras researchers formed such hydrates in vacuum, one thousand billion times below the atmospheric pressure called ultra-high vacuum (UHV) and temperature close to minus 263 degree Celsius. These are the conditions present in deep space. Nanometre thin layers of ice and methane were prepared by condensing a mixture of the gases on a specially made single crystal of ruthenium metal. However, as the hydrate cage formed with methane trapped in it, the molecule became 'free' as in the gas phase. The observed changes were compared with theoretical simulations which confirmed the hydrate formation. The results were verified with the hydrate formed by standard methods. PM Narendra Modi launched a series of development projects worth Rs. 2900 Crores for the Agra city and the adjoining areas to develop and enhance Tourism infrastructure in Agra. The Gangajal project will provide Agra with better and more assured water supply, at an estimated cost of Rs.2880 crores. In this project CCTVs will be installed throughout Agra City for monitoring and surveillance for the purpose of safety and security. This will help to develop Agra as a modern world class smart city, befitting its stature as a premium tourist destination, at a total cost of Rs.285 crores. Under Ayushman Bharat Yojana. the Prime Minister laid the foundation stone of the upgradation of SN Medical College in Agra. It will result in creation of 100 bed maternity wing in the Women’s hospital, at an estimated cost of Rs.200 Crore and add to the health and maternity care for the weaker sections of the society. More than 7 lakh people have availed the benefits under the scheme within a span of 100 days. the foundation stone of sewerage network project for the western part of Agra. under AMRUT scheme. The project will lead to improved sanitation facility in over 50000 houses. Chief Minister Pema Khandu inaugurated India's longest 300-meter single-lane steel cable suspension bridge over Siang river in Arunachal Pradesh's Upper Siang district bordering China. The suspension bridge - also known as Byorung bridge - was built at a cost of Rs 4,843 crore and funded by the Ministry of Development of North Eastern Region under Non Lapsable Central Pool of Resources scheme. Noting that good connectivity was the way forward for the state's prosperity, the Chief Minister said the Centre had sanctioned 268 road projects worth Rs 3,800 crore under Pradhan Mantri Gram Sadak Yojana (PMGSY). He said for Upper Siang district's two PMGSY projects had been sanctioned. The Union Cabinet gave its nod to the proposal for establishing three new All India Institute of Medical Sciences (AIIMS) including one each for Jammu and Kashmir region and one at Gujarat. The Union Cabinet, chaired by the Prime Minister Narendra Modi gave its approval for establishing AIIMS at Vijaynagar, Samba, Jammu at a cost of Rs 1661 Crore; Awantipura, Pulwama, Kashmir at a cost of Rs 1828 Crore and at Rajkot, Gujarat at a cost of Rs 1195 Crore. The approval follows the Prime Minister's vision and upholds the spirit of 'Sabka Saath, SabkaVikas'. Two new AIIMS, one each for Jammu Region and Kashmir Region in the State of Jammu & Kashmir was announced by the Prime Minister Narendra Modi under the Prime Minister's Development Package and AIIMS in Gujarat was announced by the Finance Minister in his Budget Speech. Each new AIIMS will add around 750 hospital beds. As per data of current functional AIIMS, it is expected that each new AIIMS would cater to around 1500 OPD patients per day and around 1000 IPD patients per month. The new AIIMS in the states will lead to employment generation for nearly 3000 people in each of the AIIMS. Sh. Ravi Shankar Prasad, Hon’ble Minister for Electronics & IT and Law and Justice inaugurated NIC’s Command & Control Centre (CCC) and Centre of Excellence in Artificial Intelligence by NIC, at National Informatics Centre (NIC). the new technologies have potential to transform societies and usher in an era of transparency and efficient governance. Women who are more attracted towards new technologies, can further catalyze social change which these technologies are bound to bring. Institutions like NIC should not only serve government but also guide private sector in applying artificial intelligence to improve consumer centric services. NIC has been offering Data Centre and Cloud services to the Government. Currently, it has 4 National Data Centres and 30 Mini Data Centres across the country hosting over 10,000 e-Governance applications. Majority of critical applications of the Government are hosted at these locations and the volume and nature of these critical online services have evolved and grown considerably. A need was felt to set up a specialized facility with a nationwide view of ICT infrastructure for effective monitoring and management of the performance & availability of all these critical services. With this aim, NIC has set up the Command and Control Centre, making it first of its kind in the Government which will increase the agility of NIC’s nationwide ICT infrastructure. NIC is also in the process of having a centralized monitoring of critical websites hosted on cloud. Additionally for large critical projects, NIC is proposing to provide users with a customized dashboard where they can monitor resources and availability of their applications. Applications like – eOffice, eHospital, Beneficiary Identification System under Ayushman Bharat are already on-board on this dashboard. CoE in AI by NIC has been established with the motto of ‘Inclusive AI' for responsive governance, to work towards improving Govt. service delivery to citizens. This CoE in AI will be a platform for innovative new solutions in AI space, a gateway to test and develop solutions for projects undertaken by NIC at central and state level. CoE in AI is designed to promote innovation in application of AI to take e-Governance services to the next level. It will also provide Capacity Building & Institutionalizing AI in Ministries / Departments / Organizations. COE in AI@NIC is to facilitate State of the Art technology support with Supercomputing facilities for prototyping in the fields of Image & Video Analytics, Speech Synthesis & Recognition and Natural Language Processing. This newly established centre will focus on the areas of Machine Learning, NLP & AI in Text, Image Recognition, Speech Recognition & Synthesis, Deep Learning and Chatbot / Voicebots. NIC has done a few Proofs of Concepts (PoCs) in image analytics as in Swachh Bharat Urban, numeric modeling as in power, text classification and summarisation etc. which will find an echo in similar use cases in other ministries and departments. In September 2018, when CEDA was launched, a milestone step towards digital governance and data analytics in India was taken. CEDA is adopting a multi-pronged strategy to permeate a culture of data-driven governance and Capacity-building in Government. CEDA has undertaken many PoCs with various Government departments to demonstrate the usefulness of data analytics in Government. In collaboration with GSTN Council, CEDA is working on a detailed Data Analytics solution for E-Way Bill system to improve compliance and ensure better utilization of the system. Creation of skilled resources, knowledge management in the area of data analytics and promotional activities are some of the other activities which CEDA is undertaking as part of its mandate. Parliament on 9 January 2019 cleared the Constitutional Amendment Bill guaranteeing 10% quota in education and employment to economically weaker sections in the general category. This followed the approval of the bill by the Rajya Sabha. The Lok Sabha had passed the bill a day earlier on 8 January 2019. Later on 12 January 2019 President Ram Nath Kovind signed the Bill to give it constitutional authority. The pertaining constitutional amendment bill is the 124 Amendment Bill that was introduced by Minister of Social Justice and Empowerment Thawar Chand Gehlot in the Parliament on 7 January 2019. The reservation would be applicable to jobs in both Central and State governments. However, the legislation gives powers to States to determine the economic criteria for identification of beneficiaries. The tourist town of Hampi in Karnataka was listed at the second place in the New York Times’ list of ‘52 Places to Go in 2019’. Hampi is the only Indian destination, which has managed to secure a place in the list. The top position is held by the Caribbean island of Puerto Rico, which was ravaged by Hurricane Maria in late 2017. Located in Hosapete taluk of Ballari district, there are 57 major monuments in Hampi, most of which come under the core zone of Hampi, including four villages spread across 41.8 sq. km. It is best known for several Hindu temples that have been constructed in the Dravidian style of architecture. However, Hampi’s most famous icon is the stone chariot in the Vittala Temple. Over six lakh tourists including foreigners, flock to Hampi annually. Minister of State (I/C) for Youth Affairs and Sports Col Rajyavardhan Rathore (Retd) launched the National Youth Parliament Festival 2019 ,beginning the celebration of the National Youth Day 2019. Honourable Prime Minister Shri Narendra Modi, in his Mann Ki Baat address on 31st December 2017, had shared his idea of organizing Youth Parliaments for young people in every district of the country. It is to provide a chance to the youth to brainstorm about new India and to find ways and chalk out plans to realize our resolves before 2022. He reiterated his idea to capture the voice of the youth in his address to the youth during the 22nd National Youth Festival on 12th January 2018. Organising District Youth Parliaments and taking the festival to the doorsteps of the youth would provide an opportunity to large number of youth of this country to participate. Youth in the age bracket of 18-25 years are invited to participate in the District Youth Parliaments. This is done in order to hear the voice of youth in this age bracket who are allowed to vote but cannot contest in elections. I. District Youth Parliament (DYP) at the district level. The participants for DYP would be selected through two screening processes i.e. Digital and Walk-in screenings in Nodal Institution in each district. A maximum of 50 best speakers from the Digital screening and 50 best speakers from Walk-in process, shortlisted by the Screening Committee in each district, will participate in the District Youth Parliaments. The best three speakers selected by a Jury from each District Youth Parliament will participate at the State Youth Parliament. Similarly, the two best speakers selected from each State. Youth Parliament will participate as speakers in the National Youth Parliament. The process is being initiated with effect from today, the 12th of January 2019 and will continue up to 24th February 2019. The festival, a brainchild of former bureaucrat Raghav Chandra, is being held at the Multi Art Centre of the Bharat Bhawan. The literary event will see participation by over 70 writers and artists attending the festival. The writer won the newly-established prize for her historical novel, ‘Things to Leave Behind’ set during the 1857 uprising against British rule. The newly-instituted award recognises the best work of fiction by a woman author and comes with a cash prize of Rs 2 lakh. Books published in 2016 and 2017 were eligible for this year’s prize. Gokhale is also the co-founder of the Jaipur Literature Festival. She has won for her historical novel set in the mountains of Kumaon during the 1857 uprising against British rule. Capturing a period of change and uncertainty, Things To Leave Behind draws on themes of colonialism, caste and culture and tells the story of young Tilottama Dutt and her daughter, Deoki. The novel was previously shortlisted for the Crossword Jury Book Awards. Prime Minister Narendra Modi receives the first-ever Philip Kotler Presidential award, in New Delhi, Monday, January 14, 2019. The award focuses on the triple-bottom-line of ‘people, profit and planet’. It will be offered annually to the leader of a nation. His selfless service towards India, combined with his tireless energy has resulted in extraordinary economic, social and technological advances in the country. The citation also states that under his leadership, India is now identified as the centre for innovation and value-added manufacturing (Make in India), as well as a global hub for professional services such as information technology. The statement quoted the citation as saying Modi’s visionary leadership has also resulted in the digital revolution (Digital India), including the Unique Identification Number, Aadhaar, for social benefits and financial inclusion. The citation, mentions initiatives such as Make in India, Startup India, Digital India and Swachh Bharat, “which have positioned India as one of the most lucrative manufacturing and business destinations in the world”. Puducherry government has decided to ban the production, sale and use of single-use plastic products in the Union Territory from March 1, 2019. The state government wants to gift a plastic free Puducherry to the future generation and curb the plastic in the larger interest of environment. It s noted that neighbouring Tamil Nadu government had announced in June, 2018 that it would ban the use of plastic items including non-biodegradable carry bags from January 1, 2019 to "gift a plastic-free state to future generations". Earlier,a nominated BJP legislator had staged a 'dharna' on December 31, asking for an immediate ban on the production, sale and use of plastic products in the Union Territory on the lines of Tamil Nadu. The government-owned Pondicherry Industrial Promotion Development and Investment Corporation Limited (PIPDIC) and Distillery and Power Corporations would be extended the benefit of the report of the Seventh Pay Commission as these three organisations were functioning profitably. The traffic police authorities of Pune are planning to introduce a robot named ‘Roadeo’ which would move around city roads, functioning as a quasi-traffic policeman and cautioning commuters about traffic rules and offences. Roadeo consists of 16-inch LED display to showcase traffic rules and other important messages such as ‘Wear a helmet’, ‘Do not jump the signal’ and others. The Hands of the Roadeo is also engineered to move and show stop signs to vehicles. Roadeo is also equipped with a siren, skid-steering wheels. D. Gukesh became India’s youngest chess Grandmaster (GM). The 12-year old D. Gukesh on 15 January 2019 became overall the 59 and the youngest chess Grandmaster (GM) from India as he defeated Dinesh Sharma in the ninth round of the Delhi International Open. He thus broke the record of R. Praggnanandhaa set in June 2018. For the record, Gukesh reached the landmark at the age of 12 years, seven months and 17 days. Praggnanandhaa did it in 12 years, 10 months and 13 days. Gukesh is now World’s second youngest GM. It is worth mentioning that the record for world’s youngest Grandmaster stands in name of Sergey Karjakin (Russia) at 12 years and seven months. This record was created in 2002. The Union government has cleared the names of two new judgesJustice Dinesh Maheshwari and Justice Sanjiv Khanna for Supreme Court who were subsequently appointed judges in the apex court. The elevation of the two justices, was cleared by the government in separate orders on 16 January 2019. With the swearing-in of justices Maheshwari and Khanna on 18 January 2019, the strength of SC Judges has now gone up to 28. Their tenure as judges of the SC would be till 14 May 2023 and 13 May 2025 respectively. The total posts of judges in the apex court stands at 31. Justice Sanjiv Khanna, who was a judge in the Delhi High Court would be in line to become the Chief Justice of India after Justice DY Chandrachud in November 2024. The Finance Ministry has asked the public sector banks to gradually bring down the government’s equity to 52 %. Dilution of government stake will help banks to meet 25 % public float norms of market regulator Sebi. Some of the public sector banks have government’s holding beyond 75 %. The country’s largest lender State Bank of India (SBI) has already initiated step for 20,000 crore share sale through qualified institutional placement (QIP). Post QIP, the government stake will be diluted from the existing 58.53 %. The government has also initiated the process for consolidation of Regional Rural Banks (RRBs) to better serve the needs of the rural India. Recently, the Centre has amalgamated three RRBs - Punjab Gramin Bank, Malwa Gramin Bank and Sutlej Gramin Bank - into a single RRB with effect from January 1. Besides,Punjab Gramin Bank (PNB), and Uttar Bihar Gramin Bank (UCO Bank) has been amalgamated with Madhya Bihar Gramin Bank (PNB). Currently, the Centre holds 50 % in RRBs, while 35 % and 15 % are with the concerned sponsor banks and state governments, respectively. The Ministry of Civil Aviation on January 15 unveiled the Vision 2040 document, which highlights the growth potential in different sub-sectors of Indian aviation and the key action steps are required to be taken to achieve the desired objective. As per the document the total passenger traffic (to, from and within India) in India is expected to rise nearly six-fold from 187 million in F.Y -2018 to around 1124 million in FY 2040. This includes around 821 million domestic passengers and around 303 million international passengers (to and from India). The overall CAGR works out to around 9% in domestic and 7% in international traffic during F.Y. 2018-2040. Since aviation is a longterm plan, aircraft procurement, airport development, air navigation system changes and skill development should be done in a cohesive manner. Rather than having five-year plans, the document talks about India having a robust 20-year plan that lays out the targets and the path to get there along with time lines and clear accountability. The technology developments like artificial intelligence, machine learning, blockchain, biometrics, composites, super-alloys, biofuels etc. are changing the face of aviation and it is humanly impossible to predict the oil price or the exchange rate a month down the line, much less the impact of technology 10 years hence. The vision document said with the right policies and a relentless focus on execution, India can surprise the world by not just meeting but exceeding the Vision 2040 targets. India is the seventh-largest country by area and the second-most populous with over 1.35 billion people. It’s one of the fastest growing economies of the world and likely to become the fifth largest in 2019. The Indian aviation market is on a high growth path. Total passenger traffic to, from and within India, during Apr-Nov 2018 grew by around 15% year on year as compared to around 6% globally. India is now the seventh largest aviation market with 187 million passengers (to, from and within India) in F.Y-2017-18. It is expected to be third largest by 2022. As per the document initiatives like Nabh Nirman (for airport capacity augmentation), Digi Yatra (for paperless travel) and AirSewa (for online passenger grievance redressal) are bringing in radical changes. The tax structure for Aviation Turbine Fuel (ATF), Maintenance, Repair and Overhaul (MRO) and aircraft leasing may be gradually aligned with leading global jurisdictions. The concept of land pooling may be used to keep land acquisition costs low and to provide landowners with high value developed plots in the vicinity of the airport. DGCA may be converted into a fully-independent Civil Aviation Authority, with its own sources of funding and freedom to recruit professionals at market-linked salaries. Most transactions with DGCA will be automated with minimal human interface. The City Momentum Index of JLL which identifies World Dynamic Cities has been released by the property consultant JLL. The City Momentum Index of JLL measures momentum for 131 of the world’s most commercially active cities by tracking a range of socio-economic and commercial real estate indicators over a three-year period to identify the urban economies and real estate markets undergoing the most rapid expansion. The absence of European and American cities demonstrates a marked East-West growth divide,reflecting Asia’s continued rapid urbanization and economic growth, driven by globalization,innovation and demographic factors. Asia continues to show strong momentum, in terms of attracting capital, companies and people. Tech sector is a key driver of both real estate and economic momentum–driven by large technology firms as well as dynamic start-ups. Challenges: Investing in infrastructure and greater transparency is essential. The cities need to address the environmental and social impacts of rapid growth such as social inequality, congestion and environmental degradation. ICICI Securities Ltd lost its position as the leader in retail broking segment to Zerodha entity for third quarter of 2018-19. As per media reports of 15 January 2019, the Broking firm's active customer base grow at a modest 10% in the third quarter of 2018-19 while rival firm Zerodha's active customer base surge to 847,000 as of December, marginally higher than ICICI Securities' base of 845,000. Thus ICICI Securities Ltd. lost the crown of being the largest retail broking firm to Zerodha. The silver lining for ICICI Securities was that average daily trading volume continued to remain robust, providing some visibility on earnings from its broking operations. The Department of Science and Technology and Doordarshan launched two science communications initiatives - DD Science and India Science. An agreement between Vigyan Prasar, an autonomous organisation under Department of Science and Technology and Doordarshan, was signed on the occasion. The channels will have science based documentaries, studio based discussions, virtual walk through of scientific institutions, interviews and short films and will be completely free to access. DD Science is a one hour slot on Doordarshan National channel. While DD Science is a one hour slot on Doordarshan National channel, India Science is an internet based channel. Doordarshan reaches over 3 crore houses in the country and would be an impactful medium for the popularisation of science. Doordarshan would be an ideal platform to send the scientific findings across. The channels were dedicated to science and will “enhance the spirit of enquiry in children”. 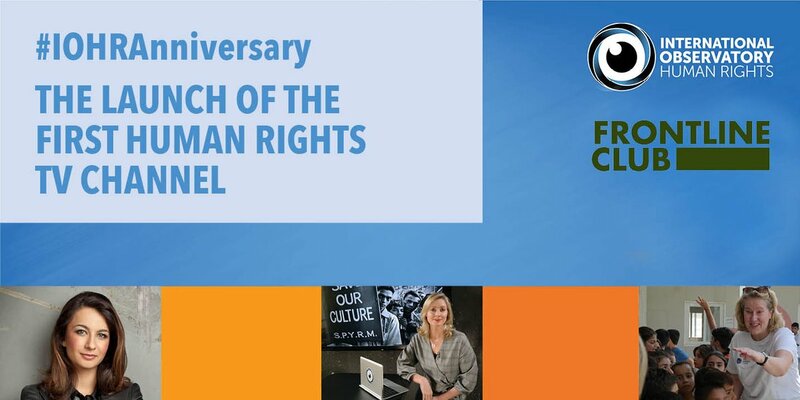 The world’s first television channel dedicated to human rights was launched in London on Tuesday with a promise to deliver hidden stories ignored by mainstream media into people’s living rooms. There are so many people in the world who cannot speak up, and it seems to be getting worse and worse. Programs in the pipeline will look at China 30 years after the crackdown on the Tiananmen Square pro-democracy protests, the positive and negative impacts of technology on women, and the human rights implications of Brexit, Britain’s departure from the European Union in March. 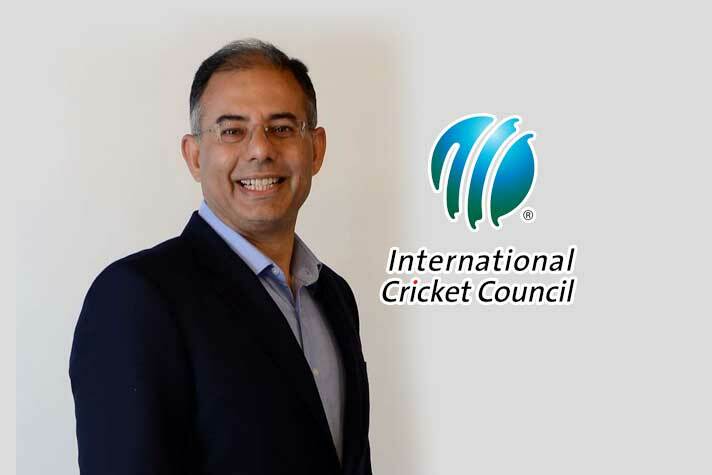 Manu Sawhney, the India-born former managing director of ESPN Star Sports, has been appointed as the International Cricket Council's (ICC) new chief executive officer. On 16 January 2019 ,he replaces David Richardson (South Africa), whose contract expires after the World Cup in the UK later this year. The International Cricket Council is the global governing body of cricket. It was founded as the Imperial Cricket Conference in 1909 by representatives from Australia, England and South Africa. It was renamed as the International Cricket Conference in 1965, and took up its current name in 1989. The Union Cabinet approved a capital infusion of Rs. 6,000 crore in state-owned Export Import Bank of India (EXIM) to expand its business on 16 January 2019. The Union Cabinet, chaired by Prime Minister Narendra Modi, also approved an increase in the bank’s authorised capital from Rs. 10,000 crore to Rs. 20,000 crore. The infusion of capital into Exim Bank would enable it to augment capital adequacy and support Indian exports with enhanced ability. Exim Bank is the principal export credit agency in India and the infusion will give an impetus to new initiatives. John Bogle, the founder of Vanguard Group who popularised low-cost index funds, died of oesophageal cancer on 16 January 2019 at the age of 89. Vanguard, founded in 1974, is now the world's biggest mutual fund firm with around $5 trillion in assets under management. Five renown institutions/personalities were awarded the prestigious International Gandhi Peace Prize for years 2015 to 2018. On 18 January 2019 a jury headed by Prime Minister Narendra Modi announced the winners of International Gandhi Peace Prize for years 2015 to 2018. The last edition of this prize was announced for year 2014. The prize for 2015 has been awarded to Kaniyakumari-based Vivekananda Kendra, a Hindu spiritual organisation based on the principles preached by Swami Vivekananda. On the other hand the prize for 2016 has been shared by Akshaya Patra and Sulabh International. Akshaya Patra is a non-profit organisation in India that runs school lunch programme across India while Sulabh International is a social service organization that works to promote human rights, environmental sanitation, non-conventional sources of energy, waste management and social reforms through education. The International Gandhi Peace Prize for 2017 has been conferred on Ekal Abhiyan Trust, trust that is engaged in providing education for rural and tribal children in remote areas pan India, rural empowerment, gender and social equality. The prize for 2018 has been awarded to Yohei Sarakawa of Japan, for his contribution in Leprosy Eradication in India and across the world. The other members of selection jury of prize includes Justice Ranjan Gogoi, the Chief Justice of India; Sumitra Mahajan, Speaker of Lok Sabha; Mallikarjuna Kharge, Leader of the single largest Opposition Party in Lok Sabha and L.K. Advani, Member of Parliament. Reliance Industries Ltd (RIL) entity became the first-ever private company in India with a quarterly profit of over Rs 10,000 crore. Mukesh Ambani-led company posted an 8.8% rise in third-quarter profit at Rs. 10,251 crore, thus becoming the first Indian private company to post Rs. 10,000 crore profit in a quarter. RIL’s consolidated revenues spiked 55.9% to Rs 1,71,336 crore in Q3 F.Y-2019 vs Rs 1,09,905 crore in Q3 F.Y-2018. Reliance Jio Infocomm net profit for the reporting quarter stood at Rs 831 crore, up 65% from a profit Rs 504 crore in same quarter last year. The Global Risks Report 2019 is published against a backdrop of worrying geopolitical and geo-economic tensions. If unresolved, these tensions will hinder the world’s ability to deal with a growing range of collective challenges, from the mounting evidence of environmental degradation to the increasing disruptions of the Fourth Industrial Revolution. The report presents the results of our latest Global Risks Perception Survey, in which nearly 1,000 decision-makers from the public sector, private sector, academia and civil society assess the risks facing the world. Nine out of 10 respondents expect worsening economic and political confrontations between major powers this year. This year’s report includes another series of “what-if” Future Shocks that examine quantum computing, weather manipulation, monetary populism, emotionally responsive artificial intelligence and other potential risks. The theme of emotions is also addressed in a chapter on the human causes and effects of global risks; the chapter calls for greater action around rising levels of psychological strain across the world. Senior Advocate KM Nataraj has been appointed as the Additional Solicitor General (ASG) in the Supreme Court. A notification issued in this regard conveyed the President's approval of the appointment. Mr. Nataraj will hold office from January 14, 2019 to June 30, 2020 or until further orders, whichever is earlier. Mr. Nataraj hails from Eshwaramangala in Puttur taluk in Karnataka and pursued his law course from SDM Law College in Mangaluru. He began his career in Mangaluru too, at the JMFC court. Additional Solicitor General, ASG is the third important law office of the country in the hierarchy. The post of ASG is neither constitutional nor statutory. The post of ASG is governed by Law Officers (Conditions of Service) Rules, 1987. Haryana Chief Minister Manohar Lal Khattar announced 'Shaurya Award' to students in the name of 71 personnel of the state police force who laid down their lives while protecting society and maintaining law and order in the state. Under this award, a prize money of Rs 11,000 in memory of a police martyr will be given to a student for courageous deeds every year in a village block where the school is located and where a martyr studied during his childhood. The Chief Minister was addressing the family members of Haryana Police martyrs at National Police Memorial in New Delhi. He also laid a wreath and paid homage to the martyrs at the memorial. The Haryana government organised the first state-level function at the National Police Memorial in New Delhi to honour the families of all 71 policemen who died in various attacks and encounters since the formation of the state in 1966. The Chief Minister also announced construction of a state-level police memorial in the state. A book titled 'Martys of Haryana police' highlighting heroic deeds of the police personnel was also released by the Chief Minister. The Cabinet has approved a Rs 22,594-crore expansion of Numaligarh refinery in Assam for increasing the capacity by 6 million tonnes per annum to meet the fuel demand of north-eastern India. The central government will provide a Rs 1,020 crore viability gap funding for the project. Numaligarh Refinery Ltd, in which 61.65 % is owned by Bharat Petroleum Corp Ltd (BPCL). Currently refines 3 million tonnes of crude oil a year. The refinery was set up in 1999 following the Assam Accord. The Cabinet Committee on Economic Affairs, chaired by Prime Minister Narendra Modi, gave its approval to the expansion of the refinery to 9 million tonnes per annum. The project involves setting up of a crude oil pipeline from Paradip (in Odisha) to Numaligarh and product pipeline from Numaligarh to Siliguri (in West Bengal) at a cost of Rs 22,594 crore. The project is to be completed within a period of 48 months, after approval and receipt of statutory clearances. The total project cost of Rs 22,594 crore will be financed by a mix of debt, equity and Viability Gap Funding (VGF). The debt of Rs 15,102 crore will be raised by Numaligarh Refinery Ltd (NRL) and apart from its internal accrual of Rs 2,307 crore, the promoters - BPCL, Oil India Ltd and Government of Assam (GoA) will contribute to equity. The project will be supported by VGF of Rs 1,020 crore from the Government of India. The expansion of the refinery will meet the deficit of petroleum products in the North-East. It will also sustain the operations of all North East refineries by augmenting their crude availability. Oil India Ltd (OIL) holds a 26 % stake in the refinery with the Assam government holding the balance 12.35 % equity. Demand for fuel in the North-East has outstripped other regions. The refinery was set up in accordance with the provisions made in the historic Assam Accord signed on August 15, 1985, and was conceived as a vehicle for speedy industrial and economic development of the region. The 3 million tonnes per annum Numaligarh refinery was dedicated to the nation by the then Prime Minister Atal Bihari Vajpayee on July 9, 1999. It began commercial production of fuel in October 2000. India currently has an oil refining capacity of 249.4 million tonnes per annum, which outstrips the demand of 206.2 million tonnes of petroleum products like petrol and diesel. However, the demand is projected to rise exponentially in future and so it is expanding refinery capacity to meet the consumption growth. India's diesel demand is likely to double to 163 million tonnes in 12 years. As per the International Energy Agency's World Energy Outlook 2018, the country's oil demand is projected to jump by 61 % to 350 million tonnes of oil equivalent by 2030. Satyarup Siddhanta from Kolkata created a world record by becoming the world’s youngest mountaineer to climb the seven highest mountains and the seven highest volcanoes in seven years. The mountaineer Satyarup Siddhanta reached the peak of Antartica's highest point, the 4,285m Mount Sidley. He is also the first person in India to conquer the seven mountain peaks and seven volcanic summits. The Kolkata software engineer achieved the feat at the age of 35 years and 262 days, while Australia's Daniel Bull did it aged 36 years 157 days as per the Guinness Book of World Records. His first attempt to scale the Mt Everest, in 2015. 15th Pravasi Bharatiya Divas Convention was formally inaugurated on 22 January 2019 by Prime Minister Narendra Modi. This annual event associated with the Indian diaspora was held in Varanasi city. For the first time, the three-day-long convention was organised from 21 January to 23 January instead of 9 January to allow participants to visit the Kumbh mela in Prayagraj and attend the Republic Day parade in New Delhi. The theme of this year's convention was “The Role of Indian Diaspora in building new India”. The Prime Minister of Mauritius Pravind Jugnauth was the chief guest of the event while Himanshu Gulati, member of Parliament of Norway, was the special guest. Software giant Infosys to make a software for processing I-T returns easier. Government thinks this will bring transparency and improve tax compliance. By 2020 taxpayers will have their income tax filing system run not by "Sarkari" IT teams but by IT major Infosys. The union cabinet has cleared a Rs 4240 crore worth proposal that promises to trim down processing of returns from the current average of 63 days to just one day. The "Integrated E-filing and Centralised Processing Centre 2.0 Project" of the Income Tax Department is likely to be completed in 18 months. The system will be launched for operations after a three month testing period. The Infosys was not handpicked but was selected after a bidding process was carried out. The government handled an unprecedented volume of tax returns in the current fiscal. A whopping amount of 1.83 lakh crore has been issued as tax refund. Refunds are issued after a cumbersome scrutiny process. The government is bound to pay interest in case of a delay. The new system will result in speedy refunds which will be credited directly to taxpayers' bank account. The faster system will reduce refund time for taxpayers and cut down government's outgo. The taxpayer friendly.e-filing and Centralised Processing Centre (CPC) projects will have end-to-end automation of all processes within the I-T Department. The old system CPC-ITR 1.0 has been given an extension and sanction of Rs 1450 crore for the year 2018-2019. This system will be used till the new one becomes operational. India Ratings and Research (Ind-Ra) has assigned a stable outlook to the finances of Indian states for FY-2019. Ind-Ra expects the aggregate fiscal deficit of states to increase marginally to 3.1% of the gross domestic product (GDP) in FY-2019. However, the ratio is vulnerable to upside risks from the potential populist measures in the run-up to state and general elections. Ind-Ra expects the aggregate debt/GDP to rise to 25.8% in FY-2019 from its forecast of 24.8% for FY-2018 - a modest increase from the earlier forecast of 24.3% for FY-2018 . The agency believes states would channel a large part of borrowings toward capital expenditure. Ind-Ra believes the net market borrowings of states would increase to INR3.7 trillion in FY19 from its estimate of INR3.5 trillion for FY-2018. However, as a percentage of GDP, states’ net market borrowings are likely to moderate to 2% in FY-2019 from the 2.1% estimated for FY-2018. Ind-Ra estimates states’ aggregate revenue receipt to grow 13.7% yoy in FY-2019 from 13.9% in FY-2018(f). Ind-Ra believes the compensation to states by the central government in case of revenue growth of taxes subsumed in GST falling below 14% for the first five years of implementation would insulate states from any revenue loss. Ind-Ra expects states’ aggregate tax revenue (including devolutions from the centre) to grow at 14% in FY-2019 (FY-2018(f): 15.3%). On the expenditure side, Ind-Ra believes the share of states’ selected committed expenditure (includes salary, pension and interest payment) in revenue expenditure could marginally decline to 47.09% in FY-2019 from 47.27% in FY18(f). The agency, however, expects the ratio to move up in select states such as Maharashtra, Karnataka, Himachal Pradesh and Tamil Nadu in FY19. States’ aggregate capex/GDP ratio is likely to improve marginally to 3.17% in FY-2019 from the budget estimate of 3% for FY-2018. IMF has retained its growth projection for the country at 7.5 % for 2019-20 and said it is likely to accelerate to 7.7 % in 2020-21. This brings cheers for India as the world growth rates have been revised downwards. India will remain the fastest-growing economy in the world, at least for the next two years. India’s growth rate is poised to pick up in 2019, benefiting from low oil prices and a slower pace of monetary tightening than previously expected as inflation pressures ease. The projection by IMF is higher than the Central Statistics Office’s (CSO) estimate of 7.2 % and lower than the RBI’s estimate of 7.4 %. IMF’s estimates are in line with the World Bank’s estimate of 7.3 %. On 23 January 2019 Reliance Industries Limited (RIL) received the CCI's approval to acquire majority stakes in Den Networks and Hathway Cable & Datacom. Mukesh Ambani-led Reliance Industries Limited (RIL) acquire majority stakes in two India's largest cable operators. Reliance will take 66% stake in Den for Rs. 2,290 crore and 51.3% stake in Hathway for Rs. 2,940 crore. The acquisition will give RIL control of around 27,000 local cable operators. Microsat-R military satellite was successfully placed into Earth’s orbit by ISRO’s PSLV C-44. Microsat-R is the name of the defence application satellite. It was successfully placed into Earth’s orbit in the late hours of 24 January 2019. Along with it a student satellite, Kalamsat, made by Space Kidz India, was also successfully placed in the orbit. It is worth mentioning that Microsat-R is the first Indian satellite that was placed by ISRO in a low orbit at an altitude of 274 km. The mission with the modified PSLV with just two strap-on motors, dubbed the PSLV-DL (dual strap-ons), marked another first for ISRO as it provided an alternative to its normal six strap-on motors. This will enable it to carry slightly higher payloads than its Core-Alone version. Jawaharlal Nehru Port Trust (JNPT) port of the country became India’s only port to get listed among the top 30 global container ports of Lloyd Report. The report was announced by the Union Shipping Ministry in January 2019. Mumbai’s ports globally notched up five spots, to be 28th on the list, compared to its previous ranking. This was announced by the Union Shipping Ministry on 22 January 2019. Various new processes activated by JNPT under the ‘ease of doing business’ initiative have not only helped in overall growth of the port business, but also allowed the EXIM (Export Import) trade to save time and cost. Sultan Abdullah Sultan Ahmad Shah was named new king of Malaysia to take place of Sultan Muhammad V who abdicated from the post earlier. Hewas the hereditary ruler of the central Malaysian state of Pahang and a prominent adviser to several world sporting bodies, was on 24 January 2019 named the country’s new king. He replaces the previous king, the flamboyant Sultan Muhammad V, who had stunned the country with his sudden abdication in early January 2019. The new king will be installed in a traditional ceremony on 31 January 2019. Malaysia’s unique system of rotational constitutional monarchy requires the role of king to be passed between the heads of the country’s nine royal households. InterGlobe Aviation Ltd, which runs IndiGo, India’s largest airline in terms of passengers carried, on 24 January 2019 named industry veteran Ronojoy Dutta as chief executive officer (CEO). His appointment comes about nine months after IndiGo’s president and whole-time director Aditya Ghosh, who managed the day-to-day operations at the airline, announced his decision to quit. Dutta, who has several decades of experience in the aviation sector, has been the president of United Airlines, after rising through the ranks in the company. InterGlobe also appointed former SEBI chairman M. Damodaran as chairman of the company’s board. His appointment comes two months after the death of M.D. Mallya who had served as chairman of the company. South Africa’s President Cyril Ramaphosa will be the Chief Guest of the 70th Republic Day Parade held on 26 January 2019. Lance Naik Nazir Ahmed Wani was posthumously awarded the Ashok Chakra, the highest peacetime gallantry award, on 26 January 2019. Lance Naik Nazir Ahmed Wani lost his life while killing six terrorists in an operation in Kashmir. The award will be presented by President Ram Nath Kovind to his wife Mrs. Mahajabeen at the Republic Day parade on Saturday. On November 25, 2018 Lance Naik Wani was taking part in a counter terrorist operation against six terrorists in Hirapur village near Batgund, Kashmir. Under intense hail of bullets from the terrorists he eliminated the district commander of the LeT and one foreign terrorist in an act of raw courage. A resident of Cheki Ashmuji of Kulgam district Jammu and Kashmir, he joined the Army’s 162 Infantry Battalion (Territorial Army) in Jammu and Kashmir Light Infantry in 2004. His courage got his recognition very quickly with the Sena Medal for Gallantry in 2007. The 2018 Sena Medal was given for eliminating one terrorist from a very close distance, the Army stated. Lance Naik Wani comes from a humble background and had worked for the benefit of the underprivileged section in his village and surrounding area. Noted Hindi author and essayist Krishna Sobti, who passed away on 24 January 2019. She was awarded the Jnanpith Award, India’s highest literary award, in 2017. Sobti’s notable works include 'Daar Se Bichhudi', 'Gujarat Pakistan Se Gujarat Hindustan' among others. She was awarded the Sahitya Akademi award in 1980. She was also offered Padma Bhushan, which she declined. India’s highest civilian award was announced for three personalities on 25 January 2019 by President Ram Nath Kovind. Saraswati Shishu Mandir patronized by the Rashtriya Swayamsevak Sangh is one of the very popular chain of private schools. India has commissioned a new naval base in the Andaman sea that would enable the force to expand its footprint in the strategically important Indian Ocean region. Naval Air Station Shibpur, being used by the Indian Navy since 2001, has been commissioned as INS Kohassa by the Navy Chief Admiral Sunil Lanba. The base has been named after a type of White-Bellied Sea Eagle, which is a large bird of prey, endemic to Andaman and Nicobar Islands. Commissioning of the base would lead to the immediate and permanent deployment of more than 100 persons at the base whose close proximity to Coco Islands in Myanmar and wide expanse of Indian Exclusive Economic Zone makes it a very vital asset. Initially Navy would operate its Dornier aircraft and helicopters from the base. Later there are plans to extend the runway up to 10,000 ft, which would allow the Indian military to operate all types of aircraft from the island – from surveillance ortransport planes like P8I and C-130J and C-17 to the fighter jets being flown by the Navy and Indian Air Force. Four years ago, during the search operations of the Malaysian Airlines Flight 370, Indian Navy and Coast Guard operated their Dornier DO 228s from this base. Before commissioning, the facilities at the Shibpur base was upgraded. It now houses staging facilities, fuel dump besides maintenance and repair facilities. The presence of personnel on the base including senior officers has been enhanced. The Navy currently operates airstrips at Port Blair and INS Baaz at Campbell Bay, while the Air Force has an establishment in Car Nicobar. This would be Indian military's fourth port at the eastern islands. The expansion of Indian military presence in the Indian Ocean region comes at a time when there is a tussle between Indian and Chinese navies on the control of the sea and critical shipping lanes of communications through which the bulk of the world'and cargo moves. The Shibpur naval base has also been identified by NITI Aayog as one of the Early Bird projects under which the government plans to improve the infrastructure on the islands in order to improve their commercial potential. For instance, military air stations in the eastern archipelago can be used as a hub for tourists to fly to South East Asia because popular tourist destinations like Phuket (1.5 hours) Bangkok (2) and Singapore (3.5 hours) are just a few hours of flying away. The navy would be ready to facilitate civil flight operations from the naval air station Shibpur. India has successfully flight tested Long Range Surface-to-Air Missile (LRSAM) from a warship off western coast. The missile destroyed a low flying aerial target paving way for its deployment in the armed forces. Defence sources said the missile, jointly developed by India and Israel, was test fired in operational configuration on board INS Chennai positioned in the Arabian sea. The missile was fired for the first time from the Kolkata-class stealth guided missile destroyer ship of the Indian Navy. It achieved all mission parameters. Apart from the missile, the system includes a multi functional surveillance and threat alert radar for detection, tracking and guidance of the missile. The radar provides users the capability to track down any aerial threats. The trajectory of the state-of-the-art advanced missile was throughout tracked and monitored by radars and electro-optical systems. The test validated all the elements related to naval and land-based variants of the missile including the phased array radar, battle management system, communications and the interceptor. Defence Minister Nirmala Sitharaman congratulated Defence Research and Development Organisation (DRDO), Indian Navy and the industry involved in development of the missile for the landmark achievement. India achieves a significant milestone with successful flight test of LRSAM on board INS Chennai. The missile directly hit a low flying aerial target. Both Israel and Indian scientists and technicians were involved in the launch of the weapon system. The missile was first tested from INS Kolkata on western seaboard in 2015. The missile would be inducted in both Army and Navy after completion of its developmental trials. The missile having an operational range of 75 km can destroy airborne threats like jets, aircraft, anti-ship missiles, unmanned aerial vehicles and rockets including projectiles launched simultaneously. The missile has a length of about 4.5 metre, a diameter of 0.54 metre, wingspan of 0.94 metre and weighs around 275 kg including a 60 kg warhead which detonates at proximity. The collection of short stories was translated from Kannada to English by Tejaswini Niranjana. No Presents Please, a collection of short stories by Kannada writer Jayant Kaikini, translated into English by Tejaswini Niranjana, was announced the winner of the DSC Prize for South Asian Literature in Kolkata. The short story collection won the $25,000 prize from a shortlist of six titles, beating novels including Kamila Shamsie’s Home Fire and Neel Mukherjee’s A State of Freedom. The stories in No Presents Please are all set in Mumbai with some of them originally published in Kannada in the 1980s and ‘90s. The strongly evocative stories are rooted in the uniqueness of the city’s many suburbs and neighbourhoods, drawing on the two decades that Kaikini spent living in Mumbai. Currently based in Bengaluru, Kaikini is also a renowned poet and an award-winning lyricist in Kannada cinema. The book’s translator, Tejaswini Niranjana, is a well-known academic and cultural theorist. Founded in 2010 by Surina Narula, the DSC Prize is open to writers across ethnicities with the only stipulation being that the writing should be related to the South Asian region in content and theme. Previous winners of the award include Anuradha Roy’s Sleeping on Jupiter and Jhumpa Lahiri’s The Lowland. Australian Open which is the first of the four Grand Slam tennis event concluded at Melbourne in Australia. Nicknamed as the happy slam, the Australia Open has grown to become the largest annual sporting event in the Southern Hemisphere. Women’s Doubles: Samantha Stosur of Australia and Zhang Shuai of China. Men’s Doubles: Pierre-Hugues Herbert and Nicolas Mahut of France. Novak Djokovic of Serbia become the first man to win seven titles at Australian Open. Nari Shakti (women empowerment) has been chosen as the Hindi word of the year 2018 by Oxford Dictionaries. The announcement was made during a session at the ongoing Jaipur Literature Festival. Nari Shakti encapsulates the spirit of our times, with all its struggles, challenges and triumphs," Namita Gokhale. In 2017, Oxford Dictionaries had chosen 'Aadhar' as the word of the year. On the occasion of Republic Day, the Chief Minister of Madhya Pradesh, Kamal Nath announced the launch of the 'Yuva Swabhiman Yojana' for youth from the economically weaker sections in urban areas. The scheme has been launched by the chief minister of Madhya Pradesh. Under this scheme, 100 days of employment will be provided to youngesters from economically weaker sections of the society in urban areas. Apart from this, they will also be given skill training by the government. Kamal Nath told IANS, "While those in rural areas get employment under the Mahatma Gandhi National Rural Employment Guarantee Act (MNREGA), the urban poor youth are left out. This scheme will effectively cover them. A 5.1-km long cable-stayed "Atal Setu" on the Mandovi river in Goa, a third such bridge to connect the state capital with North Goa, was opened to public by Union Minister Nitin Gadkari. Ailing Goa Chief Minister Manohar Parrikar, Union AYUSH Minister Shripad Naik and other ministers from the state also attended the event to inaugurate the four-lane bridge which at 2.5 lakh tonnes is equivalent to the weight of 570 Boeing aircraft. After Kashmir, Country's Second Tulip Garden To Come Up In Uttarakhand. The state government has obtained the Centre's nod for development of the garden. Uttarakhand's first tulip garden will come up over 50 hectares of forest land in Pithoragarh district at a cost of Rs 50 crore. The state government has obtained the Centre's nod for development of the garden. The garden to be developed by the ONGC. Under its corporate social responsibility programme in over 50 hectares of forest land near Chandak hill top. 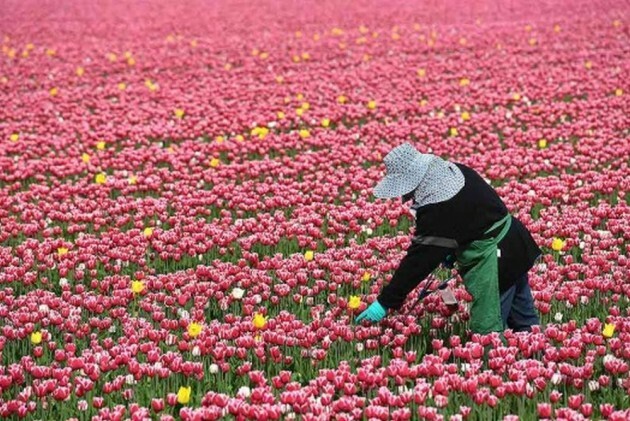 The proposed tulip garden will be the country's second after the one located in Srinagar (J&K. It will be even larger than the one in Srinagar. The site in Mad village near Chandak hilltop for the garden to be developed at a cost of Rs 50 crore has been selected under the state Government's '13 districts, 13 new destinations' scheme, to attract more tourists to the district. Tulip, the flower from Holland, blooms from mid March to May. After the final shape of the project gets nod from the Union petroleum ministry we will import tulip bulbs from Holland to be planted here. The Yogi Adityanath-led UP government approved the construction of the Ganga Expressway for better connectivity of Prayagraj with western districts of the state. The approval for the construction of the 600-km long expressway was given. The Ganga Expressway will start from Meerut and will touch Amroha, Bulandshahr, Badaun, Shahjahanpur, Farrukhabad, Hardoi, Kannauj, Unnao, Rae Bareli, Pratapgarh before reaching Prayagraj. The CM added that the estimated cost of this project will be around Rs 36,000 crore. The expressway will provide massive connectivity in the state as it will pass through major cities of UP like Varanasi, Mirzapur, Prayagraj, Pratapgarh, Rae Bareli, Unnao, Kanpur, Kannauj, Hardoi, Farrukhabad, Shahjahanpur, Badaun, Bulandshahr. Meanwhile, another major expressway is coming up in Uttar Pradesh, namely the Bundelkhand expressway. The Bundelkhand expressway is a proposed, four lane access-controlled highway. The expressway will start from Jhansi and will pass through districts like Chitrakoot, Banda, Hamirpur, Auraiya and Jalaun. From Jalaun, the expressway will pass through Etawah district and will reach Naseempur through Bateshwar before joining the Agra-Lucknow Expressway. The expressway will pass through 182 villages and will have a total length of 296. 26 km. Additionally, 3641.62 hectares of land has been cut out for the construction of the expressway. The Transparency International’s Corruption Perception Index make the following observations: Denmark is the world least corrupt country scoring 88 out of 100 points. Denmark is followed by New Zealand and Finland. Somalia has been ranked last with a score of 10 behind South Sudan and Syria. More than two-thirds of evaluated countries scored below 50 points, while the average score remained at last year’s level of only 43 points. Estonia, Cote d’Ivoire, Senegal and Guyana demonstrated most improvements since 2012. For the first time since the United States dropped outof the top 20 and it was ranked at 22nd rank. Along with Brazil, US was placed in the watch list by Transparency International. The MD and CEO of Zee Entertainment Enterprises Limited (ZEEL), Punit Goenka has been elected as the new chairman of Broadcast Audience Research Council of India (BARC). Goenka was elected by the board at its meeting. He will be taking over from Nakul Chopra, a senior advisor at Publicis. He called it an "honour and a privilege" to be re-elected as BARC India Chairman. The company has grown and evolved over the years under the able chairmanship of Sudhanshu (Vats) and Nakul (Chopra). Italian Prime Minister Giuseppe Conte has opened a new centre here set up by the government in partnership with the UN to fight climate change and boost sustainable development in Africa. The African continent represents a pillar of Italy's foreign policy and this government considers it a priority. Security, migration, climate change, economic growth, human development and climate change represent a shared destiny. The new centre is located near the headquarters of the Food and Agriculture Organisation (FAO) in central Rome. It will help develop and scale-up innovative solutions for sustainable development, implement the goals of the UN's 2030 Agenda and the landmark 2015 Paris Climate Agreement to end reliance on fossil fuels and cap global warming. Several ministers from African countries attended the inauguration. Cardinal Peter Turkson, head of the Vatican's department for promoting human development, was also in attendance. The ministers also took part in a roundtable discussion centred on how G7 countries can fight environmental degradation and promote Africa's sustainable economic growth.